So many clubs and groups are organised now for events like sports, recreation, arts, music and so on. Many a time, these clubs in India organize parties for the club members and their family. Most of these parties are based on a theme and everything is arranged as per the theme. With online invitation tools like Yoovite, you can now design your invitations also according to your club party themes. The best way to hold a group get together is a club theme party. 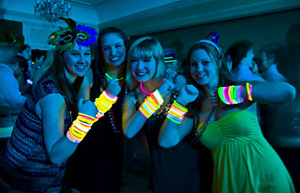 Theme parties help a lot to transform a typical night at the club into an exciting group activity. 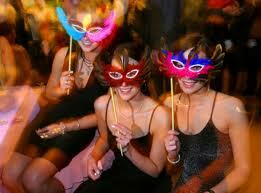 Hold various kinds of theme parties to keep your club members excited and wanting to come back. Some of the best club theme ideas are zoo party, 80's party, dance party etc. The decorations and the costumes for the party should all be based on the theme for your club party theme. The food for the party could be named according to the theme of your party. The menu could have a good variety of dishes like fruit punch or beverages, breads, snacks, main course dishes. You could also add some creativity to the desserts and juices by presenting or dressing the dessert as per the club party theme. The club decoration ideas for the party should be in accordance with the theme. For example, if the theme is zoo party you could decorate the hall with some animal ice sculptures. If you are planning a party for animal lovers club, then you must have some animal sculptures of real pets included for the party. You could also organise junglee style music to play on during the party. Invitations for the theme club party should be sent to all the club members. Phoning each member individually could turn out to be a really hectic job. The best option would be to use online invitations with Yoovite. Simply choose your template, enter the details and send your card to several members at a click. It could never get easier than this. There are several options to make your club party planning easier with Yoovite.Com.